Kansas City doesn't exactly have the best defense in football. They gave up north of 450 yards in six different games this year (losing three of them), and even gave up huge chunks of yards in games against Oakland, San Francisco, and Denver (teams not exactly known for explosive offenses). Most of their holes are on the ground. They finished 31st in the league in yards per carry against them, and finished dead last in rush defense DVOA. Their pass defense was slightly better - they gave up a ton of yards in the air (2nd most in the league), but that's in large part because they were often leading late in games, and teams were throwing to catch up. On a per-play basis, the Chiefs' pass defense was actually towards the middle of the pack. A big reason for that is their exceptional pass rush. They sacked opposing quarterbacks 52 times this season (tied for best in the league), led by Chris Jones (15.5 sacks), Dee Ford (13 sacks), and Justin Houston (9 sacks in 12 games). The flip side of this equation, as we talked about last week, is that Indianapolis had the best pass protection unit in all of football this year. If Indianapolis can keep Andrew Luck upright, they might actually have a path to victory. The Colts upset Houston last week by grinding out 200 yards on the ground and making a handful of big plays in the passing game. That gameplan can work against the Chiefs - that's how Seattle beat them in Week 16. The Chiefs will need Jones, Ford, and Houston to come up big and not let Andrew Luck find a rhythm. I'm not sure Kansas City has much hope of shutting down Indianapolis' ground game, so they'll need to find a way to disrupt the passing game, and these three guys are their best bet. When either team has the ball, third downs are a strong example of strength vs. weakness for the offense. Kansas City had the 2nd-best third down offense in the league this year (converting 47.2 percent), but just the 25th-bests third down defense (allowing 41.5 percent). Indianapolis is in a similar boat. They were the only third down offense better than Kansas City this year, at 48.6 percent, but allowed opponents to convert on 41.0 percent of their attempts (23rd in the league). So much of single-game analysis tends to hinge on which team wins the key matchup - strength vs. strength - like above with Kansas City's defensive front versus Indianapolis' offensive line. But what happens when both teams have the same strength where their opponent has a weakness? Both of these teams are elite on third down, and both struggle with third down defense. This game might come down to which offense can assert their advantage on third down and which defense can hold up just well enough to force a punt or two. This becomes especially true in the Red Zone, where again, both offenses have clear advantages over their counterpart. The Colts ranked 4th in the league converting Red Zone opportunities into touchdowns, and fourth overall in points per drive. Kansas City finished first in both of those categories. Defensively, the Colts had the 11th-best Red Zone defense, and finished 11th-best in points per drive, while Kansas City finished 31st in preventing teams from scoring once they got inside the 20 yard line, and allowed the 28th-most points per drive. Both of these offenses should find success in high-leverage moments, with the Colts even possibly holding a slight edge thanks to their Red Zone defense. Indianapolis stayed hot last week, starting quick and running away from the Texans in Houston. This week will bring a much larger challenge, as last week was a dream matchup against an underwhelming secondary and beaten up offense, and this week the Colts' defense will have to wrangle Pat Mahomes at Arrowhead. That said, Indy remains the hottest team in football, and the Colts' defensive speed, particularly at linebacker, could make things difficult for the Chiefs' play making offense. The Chiefs clinched home field advantage by blowing out the Raiders in Week and 17, but limped to the finish before then, losing back-to-back games to the Seahawks and Chargers. This week's competition will be much closer to Seattle and LA than Oakland, and the Chiefs went just 2-4 against playoff teams this year. Can the Chiefs regain their mojo at home, and with a first-year starter at quarterback? KC certainly has the talent to go all the way, but the Chiefs will likely need to start quick against a hot Colts team. Back in 2014, these two teams met at Lucas Oil Stadium, and boy, it was a barn-burner. Kansas City jumped out to an early lead, holding a 38-10 lead early in the third quarter. Then, well, Andrew Luck happened. The Colts rattled off five second-half touchdowns while the Chiefs' offense slowed to a crawl, and the Colts won 45-44. I don't think this game will be quite as high-scoring. The Colts, at least, have an offense that would rather grind out long drives than score long touchdowns, but both teams are certainly capable of explosive plays. I think this game will likely be decided by which team's offense is better able to convert their opportunities - converting third downs into first downs, and converting Red Zone opportunities into touchdowns. It kind of flew under the radar, what with the Chiefs, Saints, and Rams having such dynamic seasons, but Andrew Luck was really, really good this season, finishing with the highest QB Rating and Total QBR of his career. Marlon Mack has also been a wildly underrated back this year. As mentioned last week, Mack finished as a top-5 runner according to Football Outsiders, above players with much higher acclaim, like Ezekiel Elliot, Melvin Gordon, even Saquon Barkley. If you look at his season and include last week's game against Houston, then prorate his numbers to a full season (he missed the first month of the year), you're looking at a running back that would have accounted for north of 1200 yards and 12 touchdowns. One last point - Andy Reid has won one playoff game in the last decade. They were 8.5 point favorites last year against Tennessee and lost at home. They were favorites in 2016 against Pittsburgh, and again, lost at home. They blew a four-touchdown lead in that aforementioned 2013 Wild Card game. The 2010 Eagles were favored over the Packers, and, you can probably see where this is going - they lost at home. In the interest of fairness - the Andy Reid Chiefs did go into Houston and take care of business in the 2015 Playoffs, 30-0. On the other hand, that was an 8-8 Texans team that was starting Brian Hoyer at quarterback, and the Chiefs lost the following weekend to New England. So, to reiterate - I'm wagering on Indianapolis having more success turning third downs into first downs, and turning plus field position into points, specifically, touchdowns. And I'm wagering against Andy Reid, because history tells you it's usually a good bet. Yeah, I hear all that, and I originally thought I was gonna be taking the Colts as well, but I just think Pat Mahomes balls out in his first playoff game. I won't write your eyes off, it's just a hunch, but I see KC coming out on top in a close shootout, but I think Indy covers the spread. We're throwing in a curveball here - we're covering our players to watch and our hidden points in one combined section. It'll make sense in a minute, I promise. Last week, we looked at Dallas' skill position players and posited that if Dallas just decided to force the ball to Ezekiel Elliot and Amari Cooper, they might be able to make a run in this postseason. Well, that kind of worked last weekend. Those two players combined for 37 touches and ended up accumulating 278 of Dallas' 380 total yards of offense. Conversely, Seattle's two best skill position players - Doug Baldwin and Tyler Lockett combined for just seven touches on 12 targets, gaining 152 yards. In a lot of ways, that was the difference in the game. Something to that effect could happen again this week - Dallas can choose to force the ball to their two stars that, for the most part, are just better than anyone else on the other side of the ball. Los Angeles might not have that luxury this week. Sure, they have Todd Gurley, the best all-around back in the league, and the type of player who can handle a big workload. But - he sat out the last two games with knee inflammation and the Rams might be hesitant to feed him the ball 30-35 times here. At receiver, the Rams have Brandin Cooks, Robert Woods, and Josh Reynolds - three talented receivers, but nobody of the Antonio Brown, DeAndre Hopkins, Julio Jones, Larry Fitzgerald ilk where you can just target them 20 times in a game and expect them to make plays. They're obviously good players, but contextually good, not slam dunks regardless of the offense they play in or the players around them. That's where Woods and Heath and Frazier come in. Dallas has three above-average or better safeties that all see a decent amount of play. The Rams' offense puts a good deal of pressure on opposing safeties, with a lot of screens to Todd Gurley and deep crossing routes on playaction. The only way the Rams could pressure safeties more is by throwing to their tight ends (Gerald Everett and Tyler Higbee combined for just 57 catches and 612 yards). Regardless, Woods, Heath, and Frazier will have a big task ahead of them. If they can fly all over the place and pick up open receivers, and the Dallas front seven can slow down the run game the way they did against Seattle last week, then Dallas has a path to victory. The Dallas recipe is like baking the perfect chocolate cake - it looks simple on paper but way harder than it looks. They have to force the ball to Elliot and Cooper, sell out to stop Todd Gurley, and hope your deep secondary can parry the Rams deep receiving corps. I'm not sure how well I buy it, but it exists. Dallas cooled off Seattle last week, and looked every bit the part of a defensive juggernaut. The Cowboys are looking like the Boys of the 90s, and are playing the same style, albeit it in a totally different era. Will it be enough to get past a higher-powered and more talented Rams team? That will likely depend on what Dallas gets out of quarterback Dad Prescott. With the second-highest scoring offense in football, LA will present a much larger and more diverse challenge for that Cowboy defense this week. Making the Rams even scarier is the fact that they continued to produce, even while star running back Todd Gurley was on the shelf. LA was able to rest him an extra two or three weeks than he actually needed, so expect Gurley to be fresh. The real question, as with Dallas, will be at the quarterback position, where Jared Goff has gone from fantastic to awful and back again this season. The Rams' defense is as talented a unit as there is, but has been prone to gaffes and big plays. There's no question LA is the more talented team, but in this matchup of contrasting styles, the Rams will need to shore up their rush defense and produce chunk plays on offense. Here's what I didn't really talk about in my section above - the more Dallas decides to just force the ball to their horses, the easier they become to defend. Sure, they won last weekend using that recipe, but let's sprinkle in some context. Yes, Elliot and Cooper had good games, but it's not like the Dallas offense was humming all night. They finished with 380 yards of total offense - a respectable total, but only that. 380 yards per game for the full season would place a team just barely in the top 10 in the league. They averaged 5.5 yards per play, which would have placed 18th in the league this season. Receivers that were not Elliot or Cooper gained a total of just 88 yards on 11 touches (Rod Smith also had one rush for one yard, but we can ignore him here). It was far from a virtuosic performance from the Dallas offense. What's more - sure, Dallas won the game, but it's not like they won easily. It was a back-and-forth game that they ended up only putting away in the final minutes. And that was at home, against a reasonably flawed team. Dallas was an exceptional home team this year (7-1), but not a very good road team (3-5). Now they're going up against one of the best home teams in the league this year in the Rams. On top of that, I might just reject my own premise that Todd Gurley won't get 35 or 40 touches this weekend because he's coming off a knee injury. By just about all accounts, the Rams held Gurley out of the lineup because they had already locked up a first-round bye, their remaining games were Arizona and San Francisco, and the Saints would need to lose twice in order for the Rams to pass them for the No. 1 seed. There just wasn't much of anything to gain by keeping Gurley in the lineup, so why not give him three weeks off so that he's fresh for the playoffs and ready for, you guessed it, a game with 35 or 40 touches if necessary. I'm just not buying Dallas going on the road and playing like they did last week, which, again, wasn't even all that great. I've only seen Dallas play one game all season that makes me think they can hang with the Rams, and that was their win over the Saints back in Week 13. I'm betting against that happening again, especially on the road. This game comes down to play calling for me. While Seattle chose to keep running the ball and slamming its collective head against the wall in Dallas last week, I think Sean McVay and the Rams will open things up and challenge the Cowboys vertically. There will be big plays there for LA, and though I like Dallas' ground game to keep them in it, I'm just not sure I trust them to score enough to beat a team this good away from home. In context, by just about all metrics, Rob Gronkowski just finished the worst regular season of his career. He had the lowest yards per game since his rookie season, the lowest receptions per game since his rookie season, and his lowest touchdown total ever. He went from being near-universally regarded as the best tight end in football to maybe not even being in the top five (it doesn't help Gronkowski's case that Zach Ertz finished with 116 receptions, or that Travis Kelce and George Kittle each broke what had been Gronkowski's single-season record for receiving yards by a tight end). The good news for Patriots fans is that over the last few years, when Gronkowski has missed games here and there, he's been much, much better after a week off. That wasn't so much the case this year (it was just a down year all around, pretty much), but his two best games in 2017 (Week 6 against the Jets and Week 14 against the Steelers) both came following a week off for him. He followed that up with a productive Divisional Round playoff game (following a bye), and a fantastic performance in the Super Bowl (following a week off). The last three postseasons that he's been healthy for, in 2014, 2015, and 2017, he's been a big-time performer. Following Josh Gordon's dismissal/suspension/leave of absence/you-can't-fire-me-I-quit, the Patriots are back to where they were at the start of the season, where their offense sputtered due to a lack of talent outside the numbers. This has been an on-again/off-again theme for the Patriots during the Brady era. The years that the Patriots have flamed out earlier in the playoffs than most folks expected have coincided with years where the Patriots have a plethora of James Young, Julian Edelman-types who are phenomenal with choice routes in the flats and over the middle, but lack a reliable downfield target on the outside that can win at the top of the route and get open. Eventually, it seems like teams figure out how to flood the short and intermediate route paths with extra defenders and choke off what is normally the bread-and-butter for the Patriots. When Gronkowski is healthy, he can break that defense by running seam routes down the middle of the field and punishing defenses for loading up on the short stuff. When he's not healthy, the Patriots are very, very beatable. We'll see which Gronkowski shows up. These two teams play at wildly different paces. The Patriots famously play fast. This year, overall, they played at the 6th-fastest pace in the league, the fastest in the league in the first half of games, and third-fastest in the league so long as they were within one score or leading (they slow down when they're losing). The reason for this is rather intuitive - they have an all-world quarterback who can generally read the defense faster than the defense can read the offense, so you want to snap the ball as soon as possible. On top of that, the Patriots tend to be one of the most efficient offenses in the league. The better you are per play, it behooves you to snap the ball as many times as you can. The more plays you run, the more opportunities you have to establish your superiority over the defense. The Chargers play incredibly slow - dead last in the league in seconds per play. They play slow when they have the lead, and they play slow when they trail. Again, it's easy to connect the dots to see why that might be appealing for them. If you're ahead a lot, you want to play slow to milk the clock and get the game over with. The value of playing fast versus slow is an ongoing debate across sports. If you're an elite team, should you play fast to maximize the number of discreet events? Or should you play slow to bleed the clock and reduce the number of opportunities your opponents you have to catch up? In a sport like basketball, the debate certainly seems to be tilting towards playing fast - pace has been rising across the NBA over the last decade. In football, it also seems like teams are starting to play faster, but that doesn't mean good teams always play fast. The Chargers, Bears, and Saints were all among the bottom five teams this year in pace. How exactly pace factors into the matchup is a bit tougher to predict. Football isn't quite like basketball where one team can dictate the pace and force the other team to play faster or slower than they're accustomed to. In football, each offense just kind of plays at the pace they want to. Ultimately, though, the team that's better able to maintain a pace that is comfortable for them and manage the clock efficiently is more likely to be the team that ends up with the ball at the end of a close game. Knowing what we know about the Brady/Belichick Patriots and the Phil Rivers Chargers, I don't think it's too hard to tilt the scales one way. The Chargers held off a wild Ravens comeback in Baltimore last week, and have now won six of their last seven. 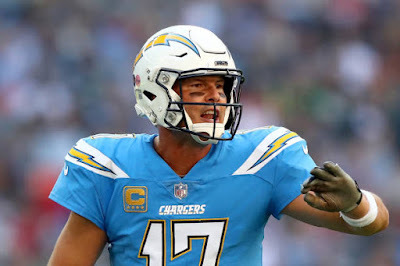 Heck, LA is the only team in the AFC with 13 wins (for now), and the offense is back to full strength. New England once again found a way to secure a bye, even as naysayers claimed the sky was falling after a Week 15 loss in Pittsburgh. Since then, the Patriots have gutted out a win against Buffalo and blown out the Jets. Neither of those teams are world beaters, but New England has done just enough all year, on both sides of the ball. Weapons on offense might be an issue with Gronk beaten up and Josh Gordon out of the picture, but count out Touchdown Tom at your peril. This year, the Patriots have not been as good as we've grown accustomed to over the last two decades. The last time they lost five games in a season was 2009. That being said, it's not like they're a bad team who doesn't deserve to have a first-round bye. For the most part, they took care of business when they had to, especially at home. That's kind of the key point here for me. The Patriots went 8-0 at home this year, winning those eight games by an average score of 33-16. They beat the Texans, Colts, and Chiefs at home this year. They beat the Jets by 35. They beat the Dolphins by 31. They beat the Vikings and Packers by 14 points each. They just cleaned teams up at home. I don't want to discount Los Angeles on the road, however - they were the league's best road team, now 8-1 on the season after their win at Baltimore last week, and they have some impressive wins in that collection - at Kansas City, at Pittsburgh, at Seattle. Going back to the Patriots, however - they haven't lost a home playoff game since the 2012 season. That's eight straight home wins in January. They haven't lost in the divisional round since the 2010 season. That's seven straight wins in this round of the playoffs. The Patriots are 27-10 in the playoffs under Belichick. That .730 win percentage is the equivalent of going 12-4 over 16 games, except all 16 of those are against playoff teams (they're not beating up on the Bills and Jets and Dolphins in this scenario). At home under Belichick, the Patriots are 19-3 in the postseason. I say it again - 19-3. In the Playoffs. It's a near-impossible run of dominance at home in the playoffs. Yes, the Patriots aren't quite as good as they've been in years passed. Yes, the Chargers are better than they've been in a while. But I'm not betting against the Patriots at home in the playoffs unless there's a really, really good reason for it. The Chargers being kind of underrated and the Patriots being kind of overrated isn't quite good enough for me. All my picks are gut based this week, and I just can't see LA going into Foxboro, with potential snow in the forecast and temps in the 20s, and beating Tom Brady. I know, this New England team has flaws, but it's still Brady and Belichick at home, in January, against a warm weather team with a QB who hasn't even reached the conference title game since 2007. The Eagles performed far better than my expectations last weekend, and I'm not quite sure how. The Bears outgained the Eagles by more than 50 yards. There were two turnovers in the game and the Eagles committed both of them. Ultimately, it came down to the Eagles going 7-14 on third/fourth down, while the Bears were 5-16. Ertz wasn't a huge factor in the game - just five catches (none of them particularly big) for 52 yards. But he remains the linchpin for Philadelphia's offense. In their Week 11 matchup, Ertz was a non-factor, one of the many reasons that the Saints won by 41 points. Ertz was covered by Vonn Bell for a decent portion of that game, and Bell played really well, and I'd expect that matchup to return here. The Eagles need Ertz to be a contributor, because like last week, I don't expect the Eagles to be able to move the ball on the ground at all. The Saints finished the season ranked second in opponents' yards per rush allowed, 3rd in rush defense DVOA, and 2nd in Adjusted Line Yards from Football Outsiders. The Eagles almost cost themselves the game last weekend by running too much - they ran the ball 23 times for a total of 42 yards. In the second half even, they ran the ball nine times for 15 yards, including three runs on their final drive when they needed a touchdown to win the game. We'll see if Philadelphia learned from their mistakes last week and runs less, or if they fall into the old trap of assuming that because they won, running that often must have been the right decision. If they do run less, Ertz, along with Alshon Jeffrey, Golden Tate, and Nelson Agholor will be the players who win or lose this game for Philadelphia. As mentioned above, these two teams met back in Week 11, and the Saints mopped the floor with the Eagles. So what has changed since then? Well, the Eagles have now won six of their last seven games (which seems relevant), including wins over the Rams and Texans. The Saints "stumbled" down the stretch, losing to the Cowboys (and a meaningless game in Week 17 that's not worth discussing) and sweating close games against Carolina and Pittsburgh. Over the first 10 games of the season (through the Week 11 game), the Saints averaged 37.8 points per game. Since then, they've averaged 22.4 points per game. They averaged 427 yards per game for the first 10 games, just 300 yards per game since. They committed just eight turnovers over their first 10 games, they've turned the ball over eight times in their last six. So, it's safe to say that the Saints have slowed down, and certainly not correct to assume that because they rolled over the Eagles once, they'll roll over them again. Philadelphia is better, New Orleans is worse. What can we take away from that meeting? Well, the Saints torched Philadelphia repeatedly with long pass plays downfield. That tends to happen when a defense is scraping the bottom of the barrel to fill their defensive backfield. For the season, Philadelphia did have a lot of trouble defending passes deep down the middle of the field, so that's something to keep an eye out here. I talked at length last week about how bad Philadelphia's secondary is, and just kind of conveniently ignored how good their pass rush can still be. If Philadelphia's front four play like they did last week, their bad secondary might not matter. Again. Philly is (maybe) riding another magical wave this season, with a revitalized defense, Nick Foles, and some unfortunate Chicago special teams pushing it into the divisional round. After winning a slugfest against the Bears, the Eagles will now likely turn their sights toward a shootout in New Orleans. If you take a Week 17 loss to Carolina, in which the Saints rested their starters, out of the equation, this team has lost once since Week 1. That loss, to a great Dallas defense, with the passing game out of sync, seems unlikely to repeat itself. Now, with Drew Brees, Michael Thomas, Alvin Kamara and Mark Ingram all healthy and well rested, the Saints seem poised for a Super Bowl run. I don't think the game will be a blowout like the aforementioned Week 11 matchup will be, but I do think the Saints roll rather easily. The last time a team opened the playoffs with two consecutive road wins was 2013, when the 49ers did it. They're the only team to do it since 2010. It just doesn't happen all that often. The Eagles have been escaping by the skin of their teeth for a solid two months now - their only comfortable win was Week 17 against the hapless Redskins - and eventually that luck has to run out. I guess you do have to respect Doug Pederson - he hasn't lost a playoff game yet as a head coach. He will lose a playoff game at some point, though. It's an inevitability. So why this week? Well, it seems simplistic and reductive and stupid, but the Saints are just better. They have a better offense, a better defense, a better quarterback, better running backs, a more experienced coaching staff, home field advantage, and pretty much everything else you'd want to mention. The Eagles have more depth at receiver. That's their advantage. Like I keep saying, Philadelphia's best path to victory involves them abandoning the running game early and throwing 50 times. They ran the ball too often last weekend, and needed to sweat out a missed last-second field goal from Chicago to escape. New Orleans is a far less forgiving team than Chicago. When you durdle around against the Bears, it's no big deal, because Chicago's offense isn't sprinting up and down the field and scoring every time they have the ball. I did mention above how New Orleans' offense has slowed down over the last month or so, but the Saints are going to put far more pressure on your defense than Chicago is. You can't hope to just hang around long enough to accidentally win the game on a missed field goal on the road against the Saints. It just doesn't happen. Their only home loss of meaning this season was back in Week 1 when Tampa Bay beat them 48-40. That's the way to beat New Orleans in New Orleans, and I just don't see Philadelphia being a team that can pull that off. Philly is playing well enough to keep this within a score, but New Orleans' high-powered offense and underrated defense will be just too much in the Dome. Brees gets one step closer to his second Super Bowl in his most efficient season.